Pekoe Most Poison, by Laura Childs, was published on March 7th. the Tea Shop Mystery series. so-called rat teas to promote city rodent control and better public health." Theo and Drayton are drawn into a dangerous game of cat and mouse." 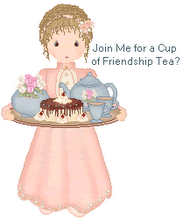 Recipes, tea time tips, and tea resources are included in all the Tea Shop Mystery Series books. This is a great book to read on spring break or at home with a nice cuppa. Thank you Laura for the advance copy of this ﻿cozy mystery. Adagio Teas offered me samples of teas to taste. and I chose a black, a white and a green tea. Most everyone who reads this blog knows I primarily drink black tea at home. tea choice when enjoying grand hotel afternoon tea. Yesterday morning, I brewed the Yunnan Noir. "Yunnan Noir is a black tea from the Yunnan province of China, the birthplace of tea itself. Much of the tea in this southern province is a large leaf variety. Mountains veiled in mist, with clean water and rich soil form ideal growing conditions and contribute to the unique flavor. Our Yunnan Noir is a hand-rolled tea, with leaves tightly curled into a 'black snail' shape. The aroma is sweet with hints of honey and spice. Savory and winey on the palate, with smooth, deep fruity astringency, tremendous depth of flavor, cinnamon bark and nutmeg in the finish. Terrifically textured cup of tea." Directions: Steep at 212° for 3-5 minutes. You can see the rolled golden tips and black tea leaves. I steeped the Yunnan Noir for 3 minutes. This Adagio Tea is available in loose leaf tea and full leaf pyramids. The tea leaves are very shiny after the infusion. The brew is a nice golden dark brown with a bold taste. My favorite daytime TV show is The Chew. On the occasions I watch it, I am multitasking, as I was on Friday. Did anyone else see this segment of The Chew? The plan is to hang the board in the kitchen or tea making station. and their date of purchase. Cute and clever! Today the tea in my mug is Harney and Sons Caribe from an individually wrapped sachet. "Breathe in the exotic aroma of Caribe, a light fusion of green and black teas enhanced by tropical flavors: hibiscus, guava, coconut and strawberry, and accents of marigolds and cornflowers. Your first sip tastes of green tea, followed by an impressive array of fruit and floral surprises. A popular favorite, enjoy it hot or iced for an afternoon escape. Kosher." of a variety of flavors. This was included in a recent order. In my opinion, Caribe would make a refreshing tropical flavored iced tea. Fine Bone China, CROWN VICTORIAN, Staffordshire, England. Austin played the part of Mortimer Brewster. The first time I saw this play, it was presented by the BHS class of 1966. It has been presented many times over the years at BCHS. The entire cast, freshmen through seniors did a splendid job! as Aunt Martha, Mortimer, and Aunt Abby. Wishing everyone A Little Irish Luck on St. Patrick's Day and always! I've written about my Beleek teapot previously. It is my favorite teapot and was a birthday gift several years ago from my husband. when she and I were in a Cincinnati tea shop. The tea table is set with four teacup trios of different vintage shamrock patterns. The napkins are Longaberger Lucky You pattern from years ago. in this corner cabinet or hutch in the recently renamed "tea room/music room"
because in addition to the piano, four of Austin's ukuleles on tea tables and chairs. The bottom shelf of the corner cabinet holds several vintage shamrock trios and teapots. can be stored behind the doors on the bottom two shelves of the corner cabinet.